"In the magical underworld of Victorian London, Tessa Gray has at last found safety with the Shadowhunters. But that safety proves fleeting when rogue forces in the Clave plot to see her protector, Charlotte, replaced as head of the Institute. If Charlotte loses her position, Tessa will be out on the street and easy prey for the mysterious Magister, who wants to use Tessa's powers for his own dark ends. With the help of the handsome, self-destructive Will and the fiercely devoted Jem, Tessa discovers that the Magister's war on the Shadowhunters is deeply personal. He blames them for a long-ago tragedy that shattered his life. To unravel the secrets of the past, the trio journeys from mist-shrouded Yorkshire to a manor house that holds untold horrors, from the slums of London to an enchanted ballroom where Tessa discovers that the truth of her parentage is more sinister than she had imagined. When they encounter a clockwork demon bearing a warning for Will, they realize that the Magister himself knows their every move and that one of their own has betrayed them. I was sent this a few weeks ago from Walker Books. I cannot express to you the excitedness I felt at seeing it. 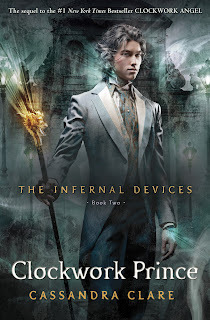 I ADORE Cassie's writing & Clockwork Angel has to be one of my favourite books, making this one of my most anticipated reads of 2011. She did not let me down one little bit. The cover is amazing. Keeping within theme of the other book. I really like how different characters are getting the special limelight. This cover features the wonderful Jem - When I first saw it, I felt his head looked a little super imposed but on seeing the final book, its just gorgeous. This picks up near to where we left off which is always fantastic in my opinion. I hate when you are left feeling a chunk of the story has been cut out. Not the case with this one!! 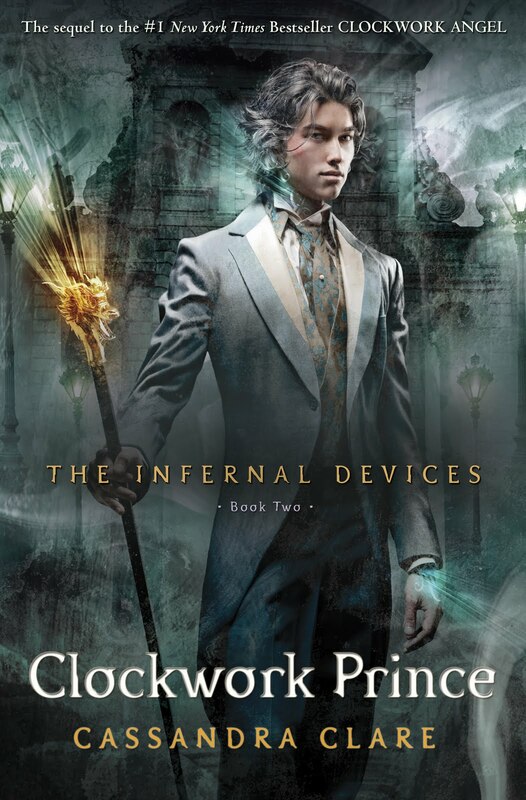 Having just a few months ago read City of Fallen Angels, which is the same world as Clockwork Angel / Prince, but separated by well over 100 years, there are certain aspects that you can see do not change. Like the Clave. They seem to try and get things right, yet always have someone that wants to stir things up. Kind of made me think of the governments today. I love how Tessa has these wonderful self conscious traits. Something that seems to be a timeless trait & something that is very relate able today. 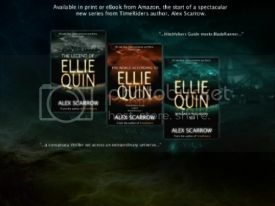 From reading it is so evident how much research Cassie put into the setting of the book. I could so picture how she portrays London in the book, especially in this historic era. Everything felt extremely accurate! I think we should crown Cassie an honorary Brit!!! One character I'd never really thought of before but have ended up loving is Sophie. Her development has been amazing. She is funny and quite feisty at times. I hope her character continues to grow in the next instalment. I'm still completely torn on the love triangle of Tessa, Jem & Will. I would both love and hate to be Tessa. It would be great to have these two guys battling for your heart, but torture to just pick one!! I think I will stick to my Team Lover Of All, status for now. Although I do feel I know where Tessa's heart truly lies!! This book is action packed like its predecessor. Still bringing out some great shocks. It concludes with an awesome climax, that once again left me thinking WHAT NEXT?? I read the UK Collectors edition of the book, which also contains a letter wrote by Will and a short story from Jem's Point Of View. Both were brilliant additions, that just give you a little more insight into the characters and their thinking. Definitely worth getting this version if you can!! !